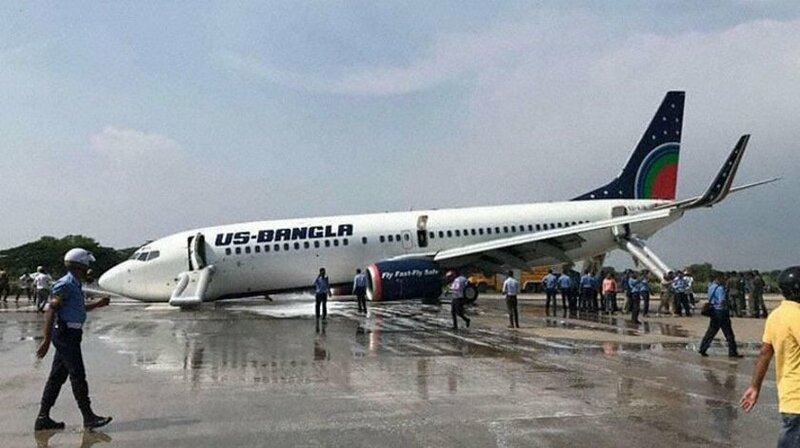 A US-Bangla Boeing 737-800, performing flight from Dhaka to Cox’s Bazar (Bangladesh) with 164 passengers and 7 crew, was on final approach to Cox’s Bazar’s runway when the crew went around from about 1500 feet after receiving indication the nose gear had not extended. The aircraft climbed to 3000 feet, the crew worked the related checklists and performed another low approach to Cox’s Bazar’s runway to have the nose gear checked from the ground which confirmed the nose gear was not down. The crew decided to divert to Chittagong (Bangladesh), about 50nm north of Cox’s Bazar, and prepared for a landing without nose gear. The aircraft landed on Chittagong’s runway and came to a stop on the runway on the main gear and the aircraft nose. The aircraft was evacuated. No injuries are being reported.